USDA and FDA announce a formal agreement to regulate cell-cultured food products from cell lines of livestock and poultry. The USDA’s Food Safety and Inspection Service (FSIS) and the U.S. Department of Health and Human Services’ (HHS) Food and Drug Administration (FDA) announced a formal agreement to jointly oversee the production of human food products derived from the cells of livestock and poultry. FSIS and FDA released a formal agreement to address the regulatory oversight of human food produced using this new technology. The formal agreement describes the oversight roles and responsibilities for both agencies and how the agencies will collaborate to regulate the development and entry of these products into commerce. This shared regulatory approach will ensure that cell-cultured products derived from the cell lines of livestock and poultry are produced safely and are accurately labeled. Under the formal agreement, the agencies agree upon a joint regulatory framework wherein FDA oversees cell collection, cell banks, and cell growth and differentiation. A transition from FDA to FSIS oversight will occur during the cell harvest stage. FSIS will oversee the production and labeling of human food products derived from the cells of livestock and poultry. On Oct. 23-24, 2018, FSIS and FDA hosted a joint public meeting to discuss the use of cell-culture technology to develop products derived from livestock and poultry. The public meeting focused on the potential hazards, oversight considerations, and labeling of cell-cultured food products derived from livestock and poultry. To view the recorded webinar from the public meeting on the FSIS website, visit www.fsis.usda.gov/wps/portal/fsis/newsroom/meetings/past-meetings. To view the Formal Agreement, visit the FSIS website at www.fsis.usda.gov/formalagreement. 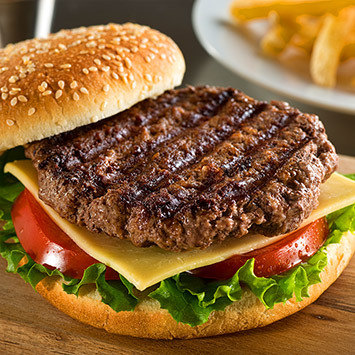 The FSIS, an agency within the USDA, is the public health agency responsible for ensuring that the nation’s meat, poultry and egg products are safe, wholesome and accurately labeled. Editor’s note: This article is from the USDA. Animal well-being is enhanced by better observations and patience. Updates are based on a major research effort and will be effective this June. 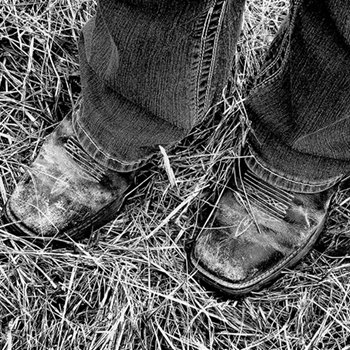 A look inside America’s beef industry now available to new audiences with translated 360-degree virtual tours. 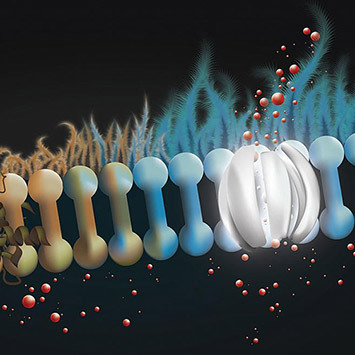 NIH-funded discovery uses common antifungal drug to improve lungs’ ability to fight infection. Subscription is free for qualifying members. Tips offered to prepare for many types of natural disaster. 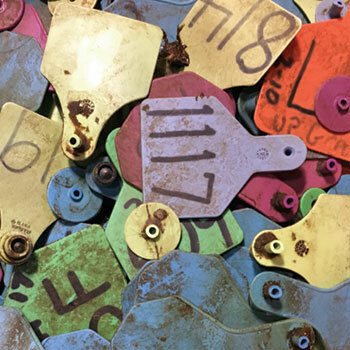 Readers share tips for tagging calves. 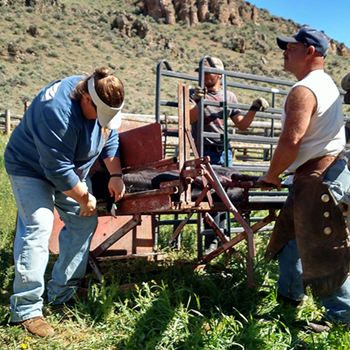 Use sound grazing practices to reduce overgrazing and weeds. 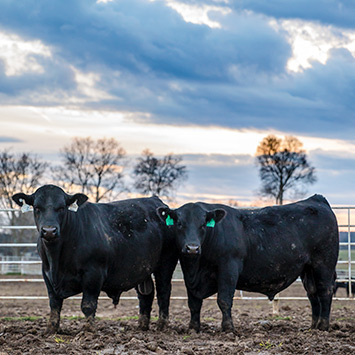 University experts discuss three key tools when selecting a bull for your breeding program..
Free farm labor guide helps farmers hire and keep the right workers. 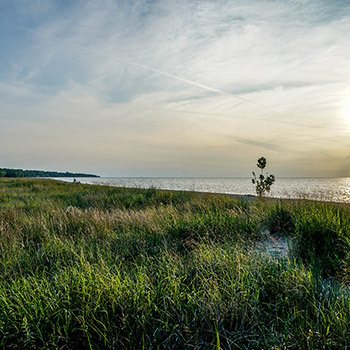 Research on phosphorus filters finding ways to keep water sources clean. 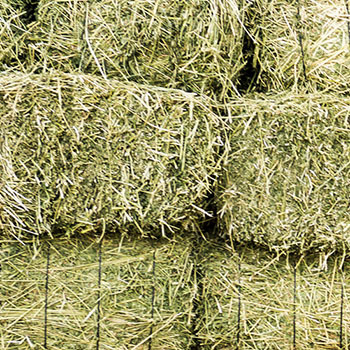 Companies offer advancements in marketing, health, reproduction and putting up hay. 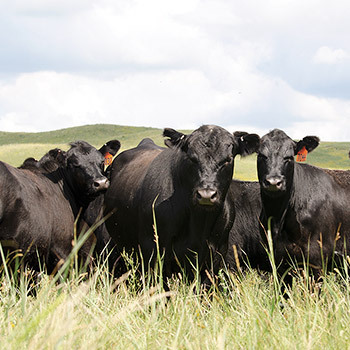 Our team of Angus advisors offer regional tips for herd management for the spring season. Nutrition matters for each stage of calf development. 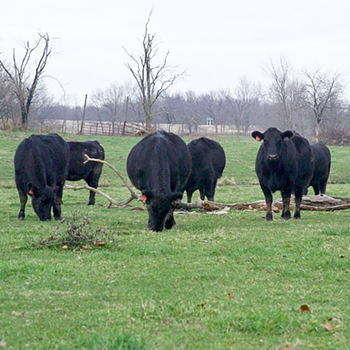 High nitrate in hay killing beef cows in complex ways, MU specialists say. 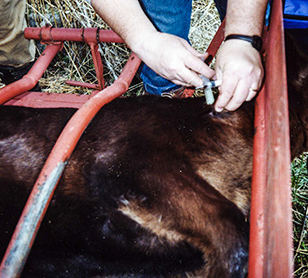 Learn how to deal with upper respiratory problems in calves. 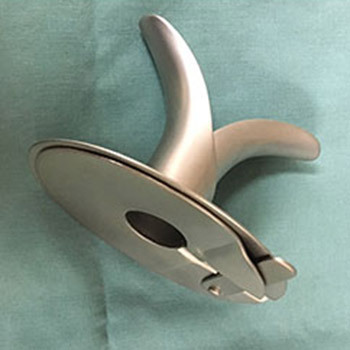 Tips for reproductive tract repair and breeding success. Are Killed Vaccines a Good Fit? 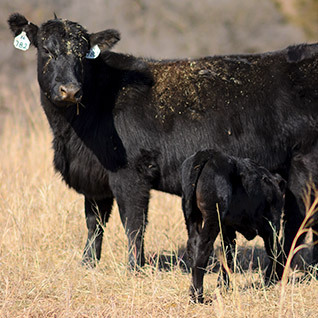 Killed vaccines offer benefits for all ages and stages of cattle. 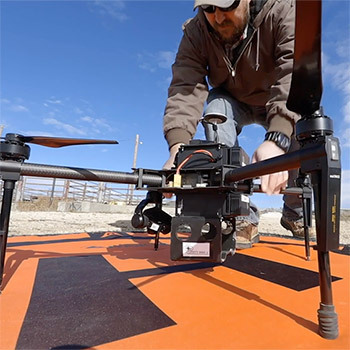 AgriLife Research targets feverish cows with drones. 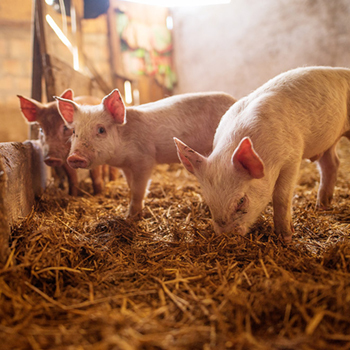 Study reveals pigs can transmit FMD prior to signs of sickness. 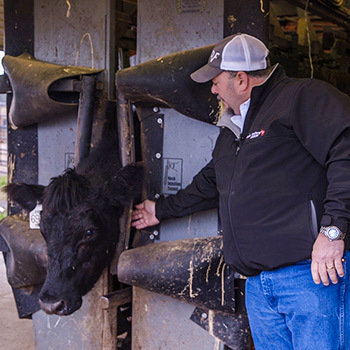 Nebraska cowman embraces feeder-cattle program to communicate value to today’s feeder. 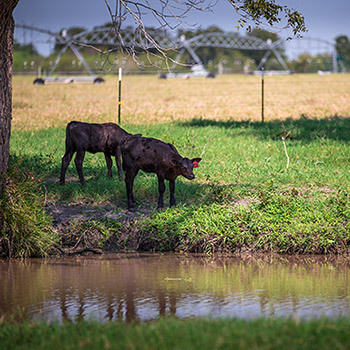 U.S. cattle inventory growth slows. Feedyard performance slips as costs rise. 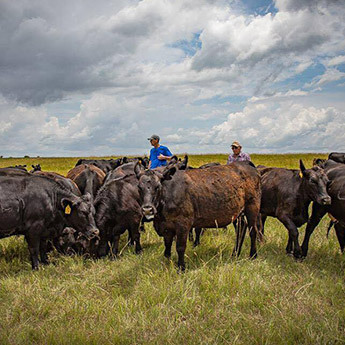 Changing the image of cattle welfare. What’s Next in the Cattle Cycle? Insight on the trajectory of the cattle cycle. Exposure to risk, export market volatility offset by higher prices and profit potential for producers. 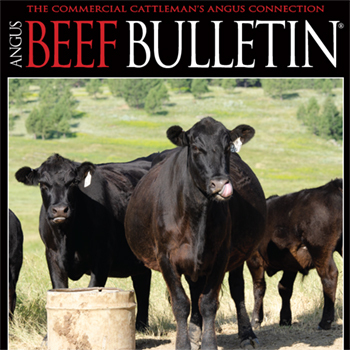 The heart of the Angus business is commercial cattlemen buying registered Angus bulls. 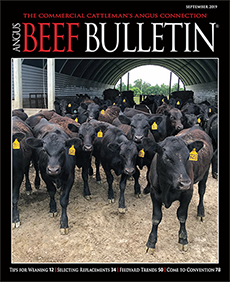 The Angus Beef Bulletin is the commercial cattleman’s Angus connection. Click the image above to subscribe.